The famed Army teams of the 1940s had their Mr. Inside (Doc Blanchard) and Mr. Outside (Glenn Davis). 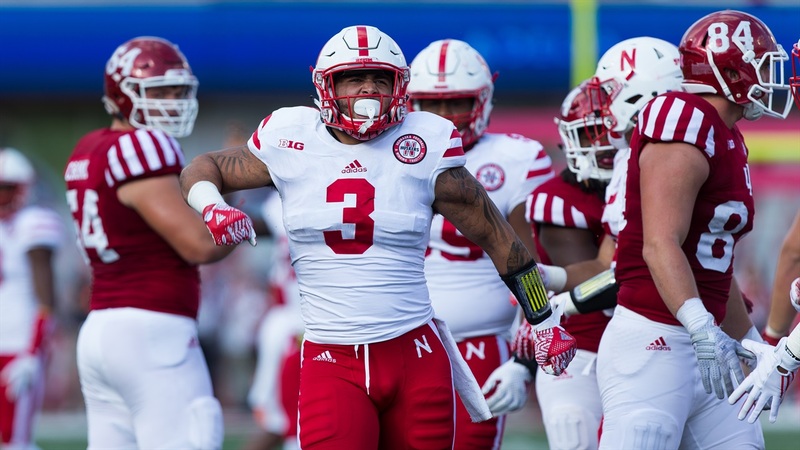 New Nebraska defensive coordinator Bob Diaco will be looking for his own misters (plural in both cases) inside and outside at linebacker this spring as the Huskers transition to the 3-4 defense. It's an important distinction. Linebackers are the lifeblood of a 3-4 defense and Nebraska needs to replace two from its 4-3 scheme of a year ago. Combine that with the scheme switch and you have almost a totally clean slate as we look towards 2017. So what will Diaco be looking for in potential inside and outside linebackers? If you want a visual and know NFL football, Pro Football Focus put together a helpful "linebacker prototype" story, but to paraphrase what's there briefly, think traditional 4-3 middle linebackers on the inside and hybrid defensive ends on the outside. Or you can listen to new safeties coach Bob Elliott talk about the transition required for Jaylon Smith to move from outside to inside in 2014 at Notre Dame. Smith was a freshman All-American as an outside linebacker in 2013, tallying 67 tackles and 6.5 tackles for loss for the Irish that season. Nebraska's roster lists 20 linebackers, and 17 will take part in spring practice. Here's an attempt to make sense of how it all fits together. If the outside linebackers are the hell-raisers, the inside linebackers are the head-knockers. When Diaco mentioned "block destruction" in his introductory press conference that should've made some inside linebackers' ears perk up. The players best equipped to take on and get rid of blocks will play a lot in 2017. You can probably start that conversation with senior Chris Weber and junior Dedrick Young II. Weber, a former walk-on, started four games at middle linebacker in 2015 and has been one of Nebraska's best special teams tacklers the past two seasons. Young also has two years of significant experience under his belt, but those snaps came at outside linebacker. A move inside could help him as Young has proven to be a better tackler than coverage guy. Beyond those two presumptive front-runners, Nebraska should have ample competition. Sophomore Mohamed Barry should get a long look here and, with two years in the program, could be ready to make the jump. True freshman Avery Roberts could also be in the mix. He's on campus, was one of most highly touted members of the 2017 recruiting class and showed some great linebacker instincts on film. Redshirt freshman Greg Simmons also feels like a natural fit at inside linebacker. That's the easier position group of the two. At a position where it seems like any number of options could get a look, let's start with what could be the most natural fit. Senior Marcus Newby should have the inside track for one of the jobs given that he first saw the field as a specialized pass rusher under Bo Pelini. The next best option might be one of two players that redshirted in 2016. Sophomore Tyrin Ferguson made the rare choice to redshirt last season after seeing the field on special teams as a true freshman in 2015. It could be decision that pays off for Ferguson (6-2, 225) as he seems like a pretty good fit on the outside. Redshirt freshman Quayshon Alexander should be considered among the leaders at outside linebacker, too. He was one of the most highly touted members of the 2016 class and had some services ranking him as defensive end, others as an outside linebacker. Translation: He's already cut from 3-4 outside linebacker cloth at 6-foot-3, 235 pounds. So is, to a slightly lesser degree, redshirt freshman Pernell Jefferson. That's before you even get to the prospect of making some 4-3 defensive ends 3-4 outside linebackers. Both Freedom Akinmoladun (6-4, 255) and Alex Davis (6-5, 255) could drop a little weight and be potential fits for the Huskers. Those are just some of the most notable names at either position. Overall, Nebraska should have enough flexibility and able hands here to get somewhat specialized if it chooses to go that route.